PAGET As BRICKLAYERS ARMS (lease) sold to Morse, Steward, Finch & Patteson 23.08.1845 ? Convicted 19.04.1875 for being open during prohibited hours & allowing drunkenness - Licence NOT endorsed. No further detail of any penalty. Providing good accommodation according to an article dated 9th April 1826. 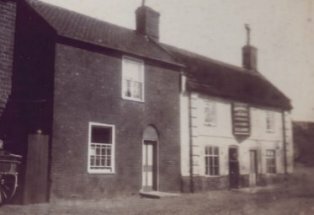 Said to be one of the only two public houses in Reedham. A well-accustomed Free Public House, licensed for Beer and Spirits, offered for sale by auction Thursday 22nd July 1841. Then in the year to year tenancy of Richard Goffin. For sale by auction Monday 14th July 1845 along with excellent Brick and Tiled Warehouse and Granary, and 25 Coomb Steep Malting Office, Brick Kiln, Two Acres of Land, Several Freehold Cottages with Gardens, Large Staithe, Warehouse, &c.
For sale by auction, Wednesday 2nd April 1851. A Freehold Property in occupation of Mr. Richard Bullard and his undertenant at the yearly rent of £28. It was remarked at the 1908 Licensing Sessions that the house was only 250 yards away from the Lord Nelson.